I'm not sure if it's a crush or the real deal - only time will tell. All I know is I can't keep my eyes to myself. 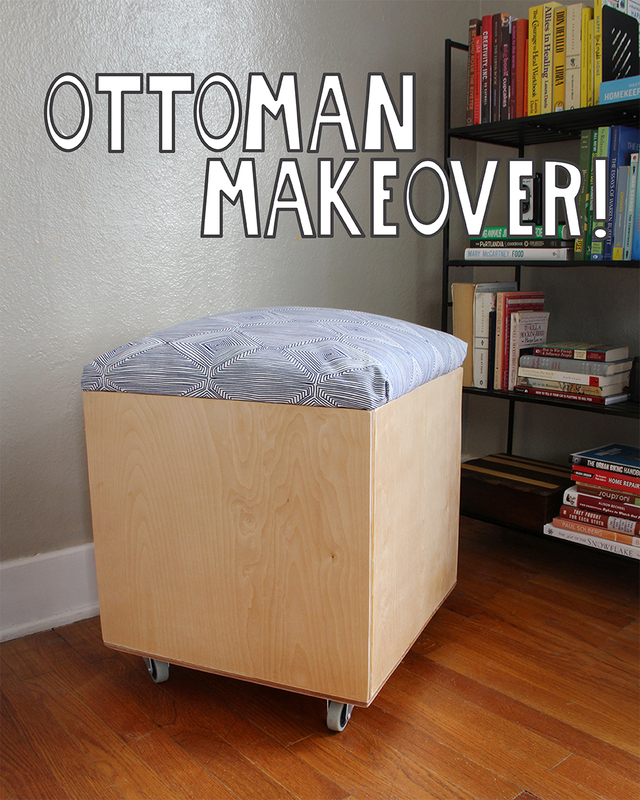 But just look at this ottoman & tell me you're not smitten too. 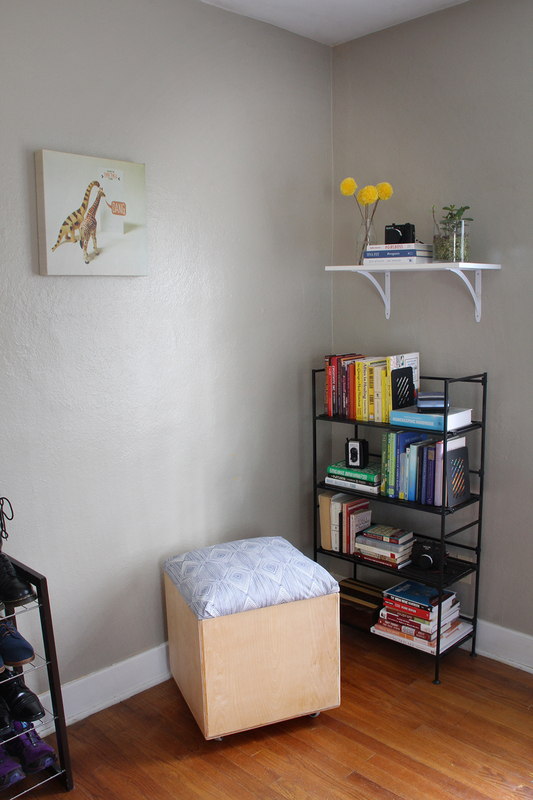 The old ottoman wasn't a thrift store find or anything; we actually had it in the house already. Heather made it for a photography project while she was in school (such a little woodworker, that one). I love the graphics she printed for this piece: they're cyanotypes of her making awesome faces on each side. Sadly the cushioning on the ottoman had deflated & the cat had been using it for a scratching post. We also managed to get some kind of cleaning solution on one side that completely ruined one of the cyanotypes (oops). We decided to give it a fresh look, & also make it more movable by installing wheels. 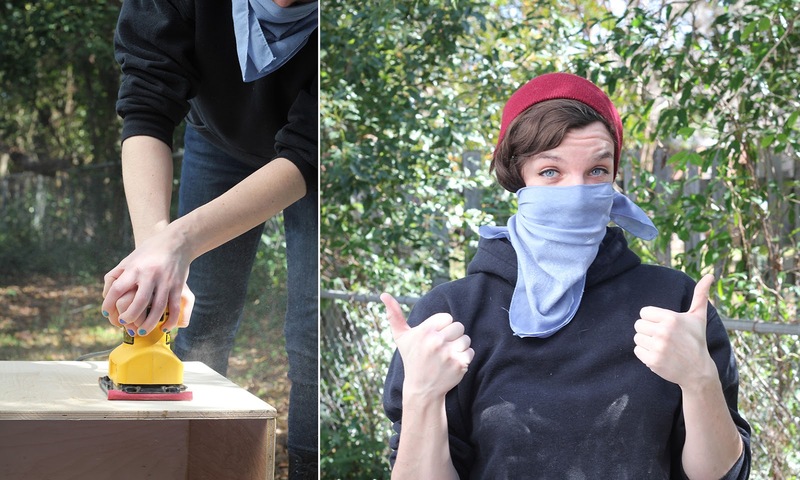 Don't fret - we saved the cyanotype prints. I think they'll look pretty good framed. First we dissected the ottoman, removing the cushions on the side & seat (a screwdriver helped us pry up all the old staples). We saved all the old padding to reuse in the top cushion. 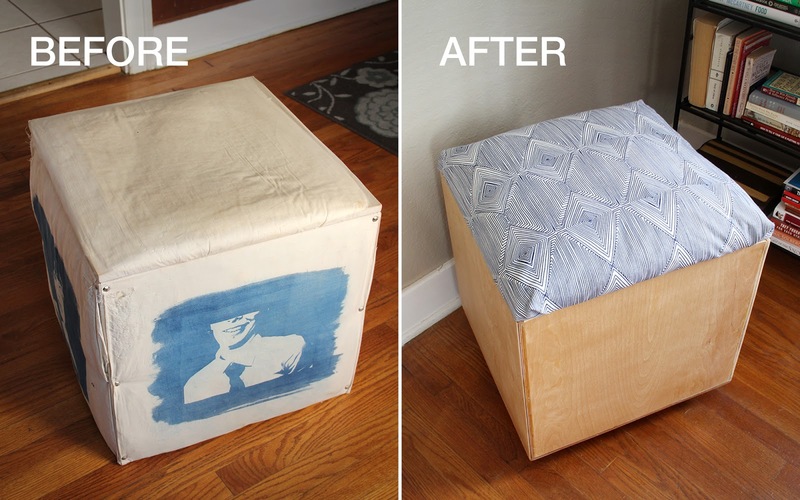 After the ottoman was completely naked, we used wood filler to cover any noticeable holes left from previous staples. Quick shout-out to wood filler for being amazing! You don't even need a tool to apply: just fill the holes & spread it with your fingertip until it's smooth. After the wood filler dried (15 minutes for small holes, 2 hours for large cracks) we sanded the bad-boy down for a splinter-free, smooth finish. Always sand after you use wood filler to even out the surface. There were also some uneven edges that weren't an issue when the ottoman was covered in fabric, but were noticeable once the fabric was off. 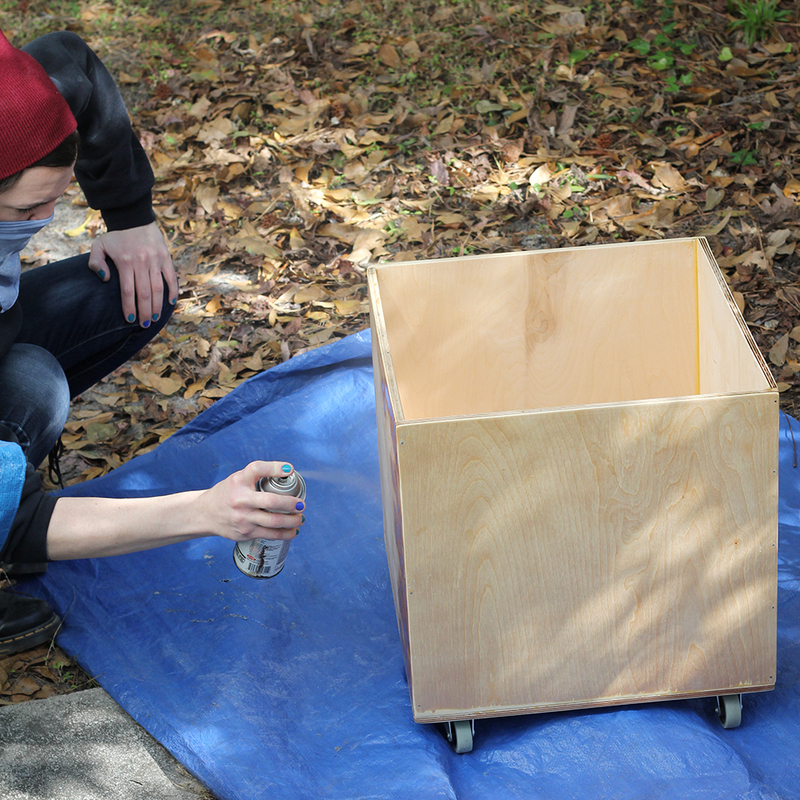 We sanded those down too. The casters (or wheels, if you're not feeling fancy) went on next. I measured the first caster, traced the placement on a small piece of scrap cardboard, then cut the traced shape out. 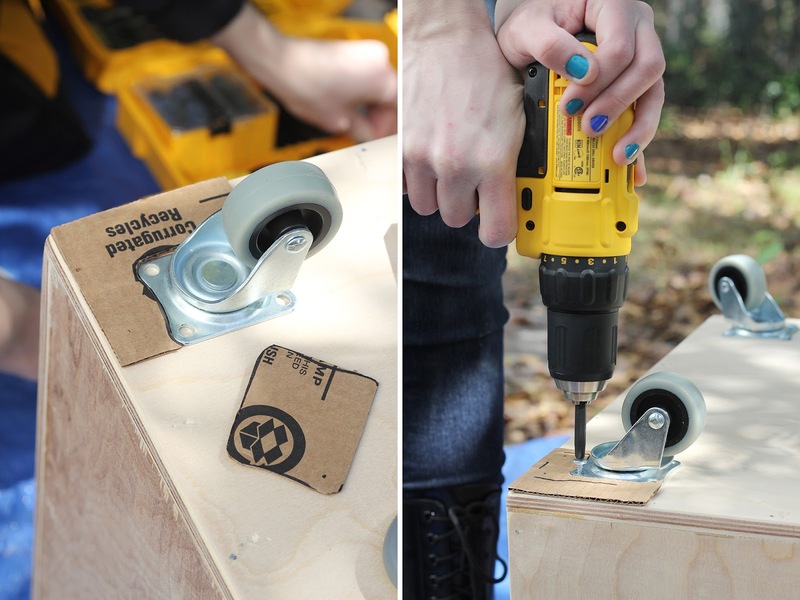 This allowed me to use the cardboard as a template for each corner rather than re-measuring. It's the lazy-girl's way to do things, but it worked really well. After the wheels came three rounds of spray finish. Yes, we should have applied the finish before the wheels, but there was a change of plans. We had initially considered staining the wood, but after seeing how it good it looked sanded we decided to keep the natural color. The finish dried super quick, so I was able to move onto the next layer by the time I made it around to the first side I sprayed. On to the seat cushion! 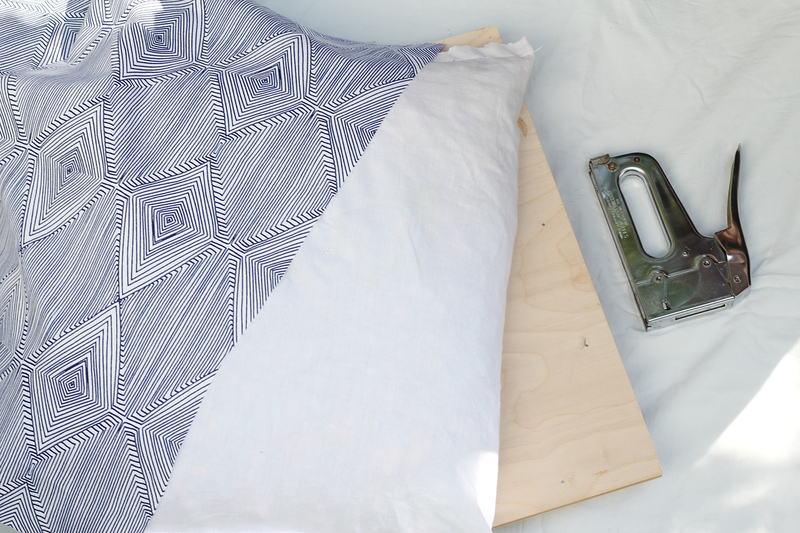 I took all the old stuffing & some scrap fabric & made a quick pillow the size of the seat. 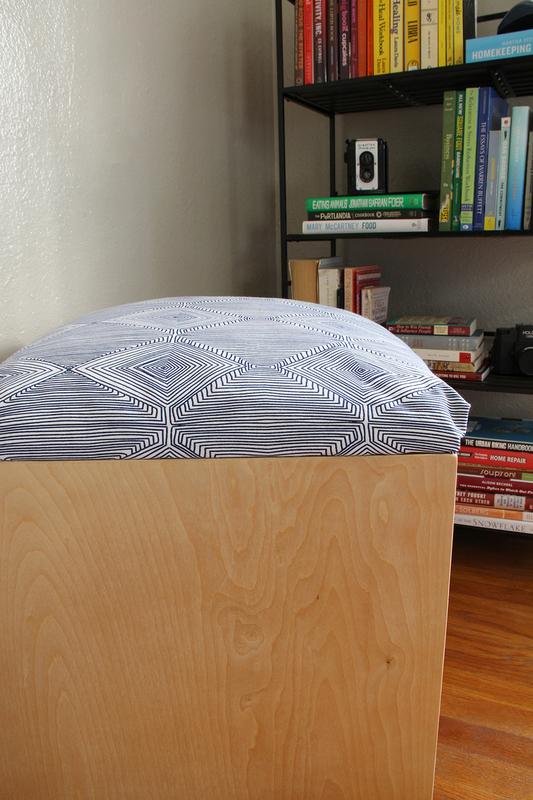 We wrapped the home decor fabric over the top of the seat & stapled it in place on the bottom of the seat. Side note about using a staple gun: don't fret if the staples do not go all the way through the wood. Use a hammer to hammer them the rest of the way. Related // See a rocking chair transform from old to new.